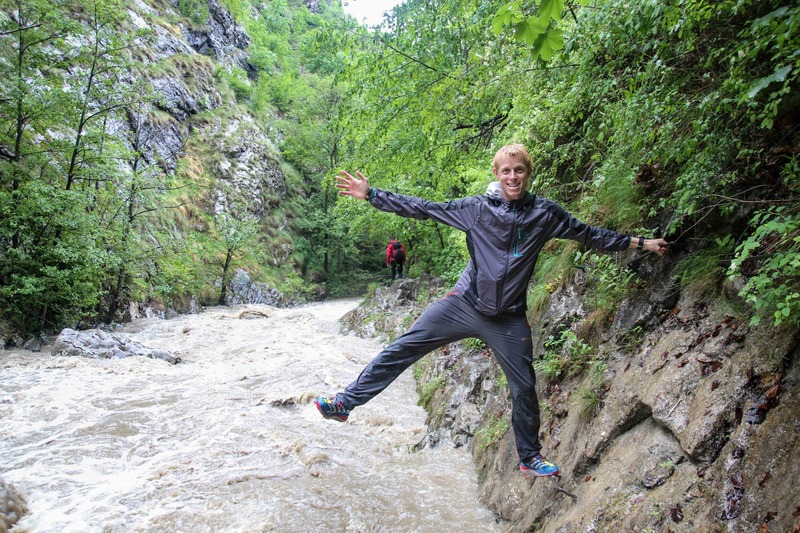 Adventure isn’t just about crossing the Arctic in the fastest time or climbing Mount Everest – it’s a state of mind. Doing something out of your ordinary, pushing yourself to the edge of your comfort zone is what it’s really about. You can find it in the middle of the roughest ocean or an arid desert, but it’s as easy to find in your local park or halfway up an indoor climbing wall. Many people travel the globe to find their ultimate adventure, turning a bucket list of must-do’s into have done’s. Look beyond the tourist-heavy regions where the masses thrive and instead seek out the lesser-known places – the hidden gems. Places where untapped adventure hides, waiting to be discovered by those smart enough to search. Romania harbors adventure like a proud mother holding her child close to her heart; careful to protect it from the world but eager to share with those who ask. 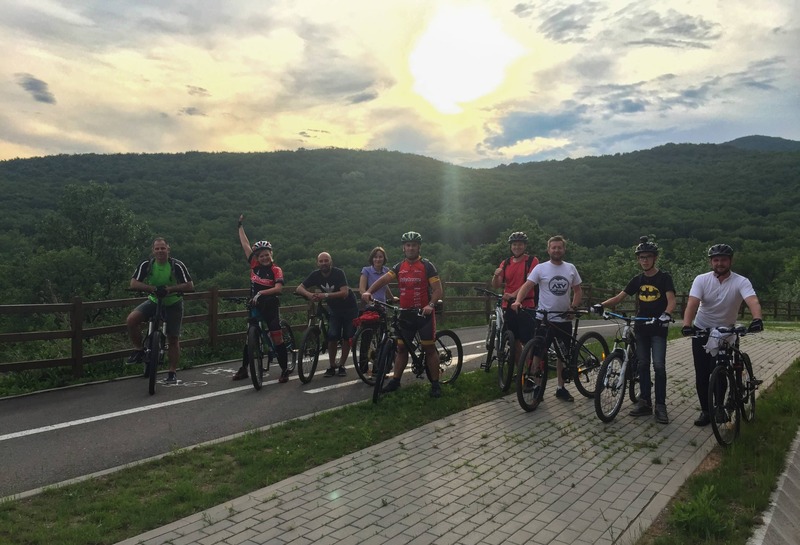 We visited Alba County in the heart of the country, nestled in the foothills of the Transylvanian Alps and discovered there’s more to be found than just Count Dracula to get the blood flowing. 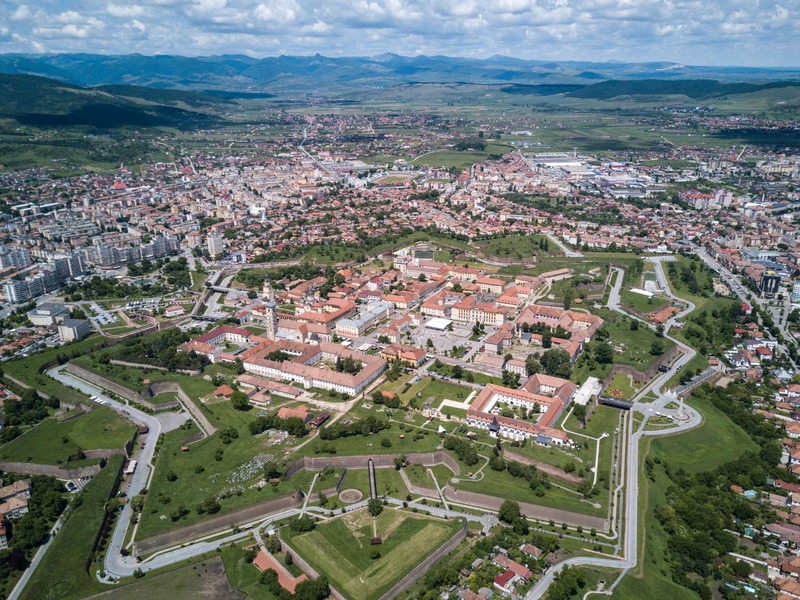 In the heart of the county is the historic city of Alba Iulia with its iconic 14-walled Roman citadel that covers a vast area. The stunning cathedrals and historic buildings have been restored to their former glory and there’s a visitor interpretation centre, complete with Roman re-enactments that take place throughout the summer months. It would take a full day to explore the old sunken moats that surround the citadel by foot, so why not hire a bike and take a leisurely cruise instead? Contact Robbie at Alba Sport Vision to get your wheels turning. 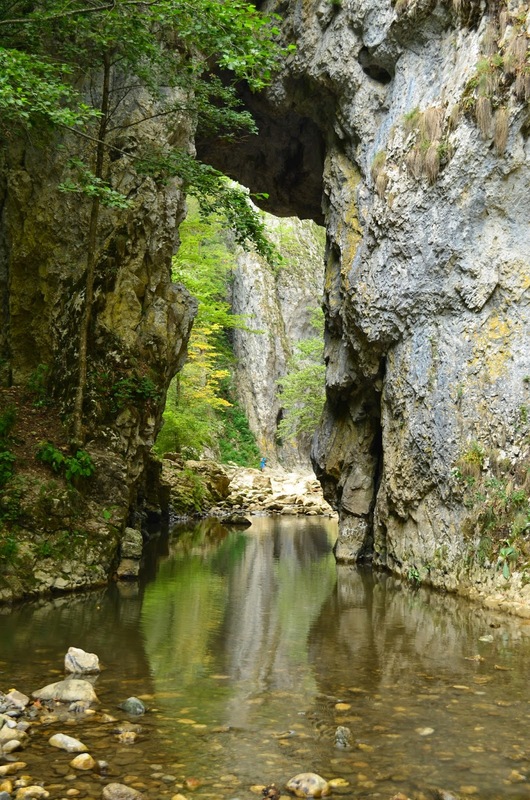 The magnificent limestone Ramet Gorge is a 40km drive from Alba up a winding picturesque valley that follows the course of a bubbling stream…well, most of the time. The road ends abruptly at the Ramet Monastery where it’s worth spending a couple of hours to unwind, admire and learn about the history of Romania’s religious roots. While you’re there find out how the entire church was lifted five metres from where it once sat to protect it from the rising flood waters. When we visited, the stream was more of a raging river. The blue skies above giving no indication of the rains that had fallen the previous day. It turned our ‘walk along the valley’ into more of a Survivor-style challenge packed full of exciting, slightly nervous moments, as we inched our way along metal hand and foot holds fixed deep in the limestone rocks, just above the swirling flood waters that momentarily lapped at our ankles. It was great to see it from deep in the valley and then jump into a Land Rover and ascend the steep muddy farm track that climbed over 1000m to the village of Cheia where we could take in the majestic vista from above. There are a number of trekking tracks through the forests and across the mountains that can be completed over a number of days. You can wild camp or stay in the local huts but you need to be fully self-sufficient as there are very few resupply shops. It’s worth keeping an eye open for the rarely seen European Brown Bears and Transylvanian Wolves. Alongside the road from Cheia to Alba Iulia are a number of epic limestone ranges that tower above the surrounding villages and form the perfect takeoff platform for paragliders. 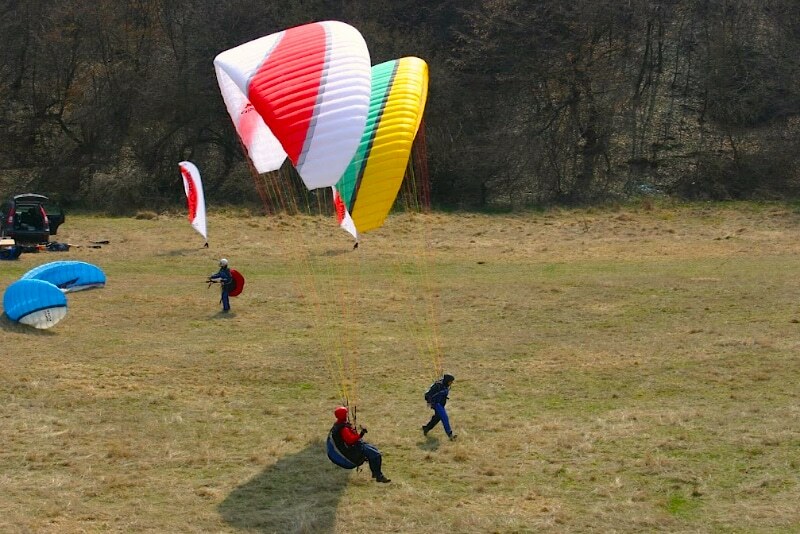 There’s a local paragliding club – Sports Club Archaeopteryx – who’ll get you into the skies when the weather conditions are right during the warmer months of the year. Strap yourself to an instructor, raise your knees to your chest and take a leap of faith as you cruise high over the surrounding countryside. For those of you who decide to stay on terra firma, there are some beautiful photo opportunities in the area. The verdant steep slopes still bear the ancient ridge lines of past agricultural terracing, and as the sun rises and falls, beautiful shadows are cast across the surrounding countryside. 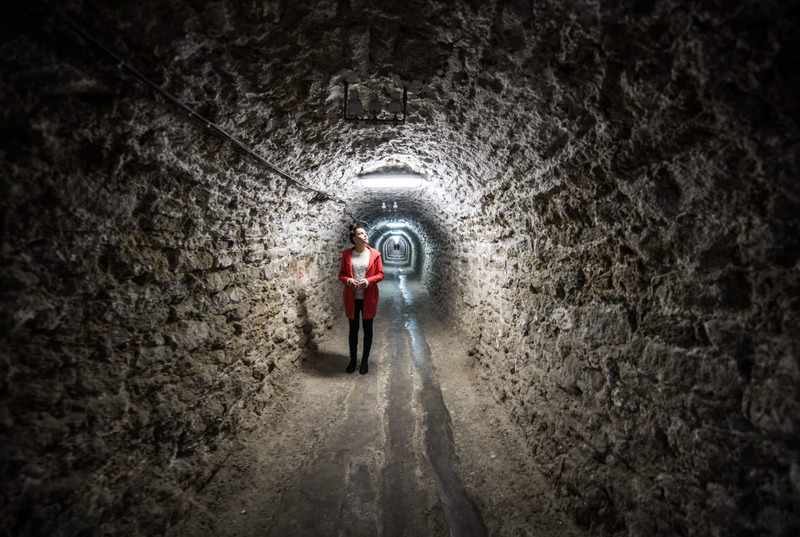 From high in the skies to deep underground, Alba County has an adventure to suit everyone. 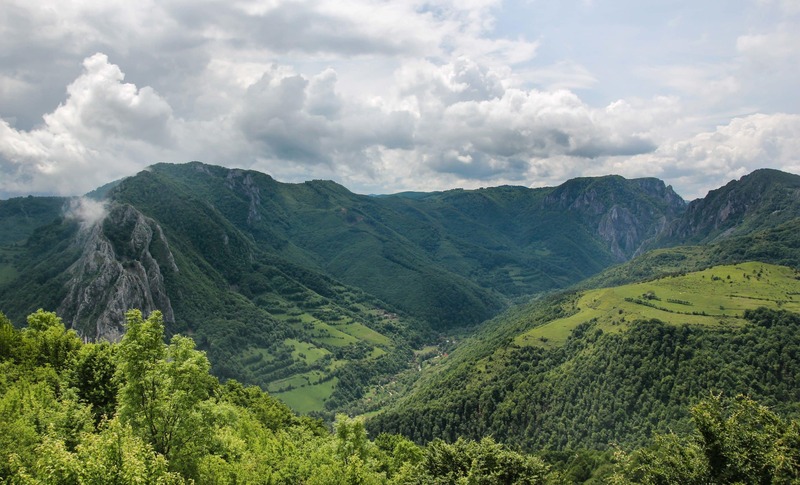 With the largest glacial cave in Europe – Scarisoara – buried deep in the Apunseni Mountains, the drive along remote Romanian roads, through traditional lost-in-time villages, rewards you in abundance when you finally arrive. The climb down the steep metal stairs feels like you’re journeying to the centre of the earth. The temperature drops as you descend into the huge, dark hole and even in the height of summer, snow and ice pack the entrance like a portal into an arctic world. As your eyes adjust to the darkness, the vastness of the cave becomes real. 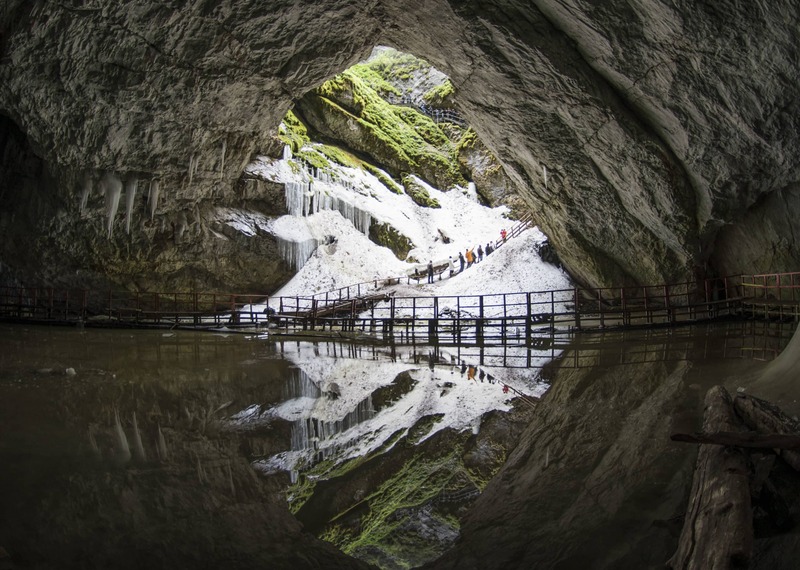 The icy floor topped by a lake of frigid water and towards the edges of the cave, foreboding dark tunnels drop further into the abyss – gateways to a freezing hell if you decide to enter. 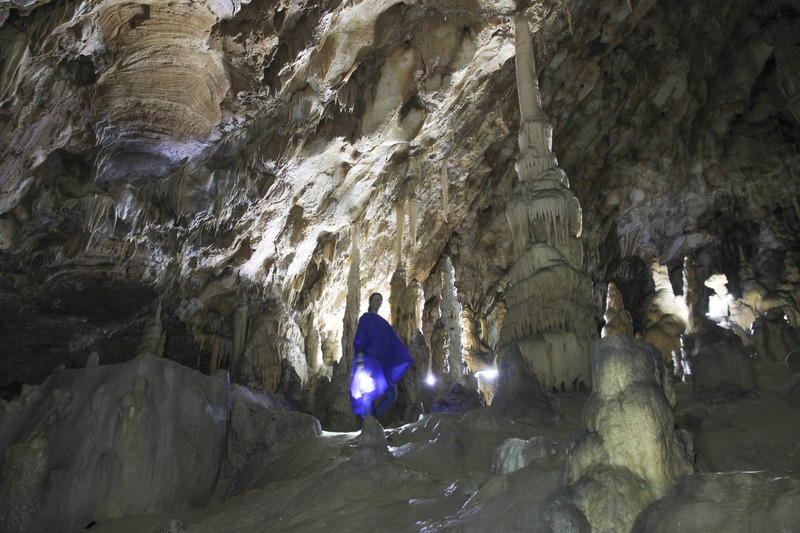 The cave is a true natural wonder, measuring 22 metres wide and stretching 700 metres into the dark yonder. Icy-cold stalactites and stalagmites move at a glacial pace like outstretched fingers desperate to make that final connection. 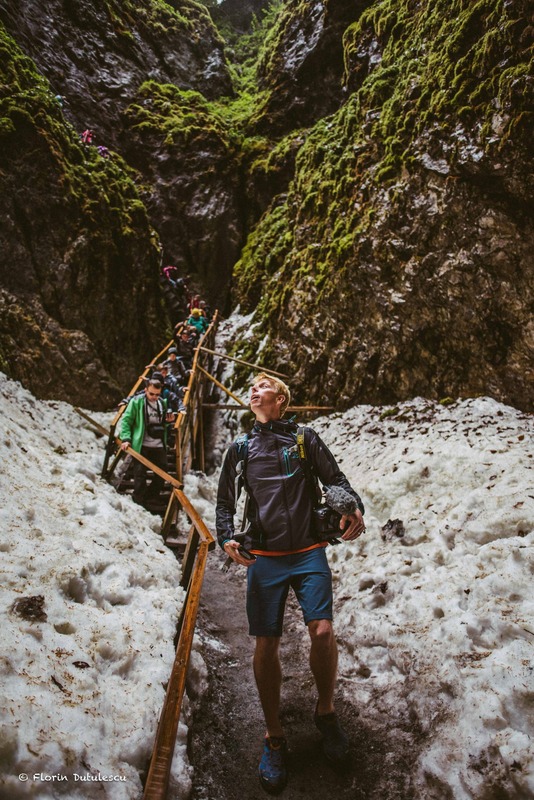 There’s another cave you have to visit if these ancient fingers of the earth are very much your thing – those of the mighty Vârtop Glacier Cave. Access permission needs to be gained from the local park rangers who can be found at Casa de Piatra village who will then guide you to the entrance and down the increasingly tight corridors to the vast caves that house the mighty stalagmites reaching eight metres from the cave floor to the ceiling. 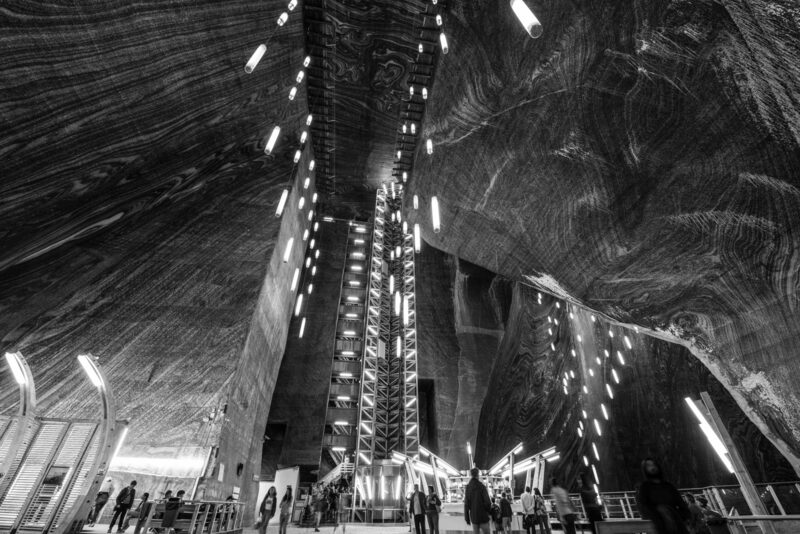 If you prefer your underground adventures to be more manmade than natural, one of the most fascinating tourist attractions in Europe is right on your doorstep – the Salina Turda Salt Mine. It’s a mind-blowing engineering construction that’s been transformed into theme park for all ages, deep within the bowels of the earth. Since the Middle Ages salt has been mined from this region, but only in the 1700’s did extraction start to happen on such an industrial scale. 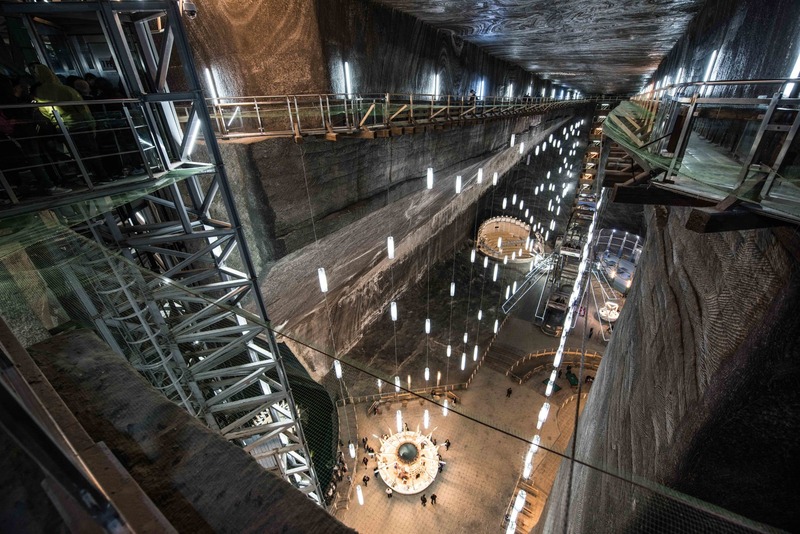 Vast galleries are left today, from which millions of tonnes of the finest salt have been mined, leaving ample space for what else…but a theme park! It’s one of the most whack, funky, amazing places I’ve ever been and is the greatest use of underground space I’ve ever seen. 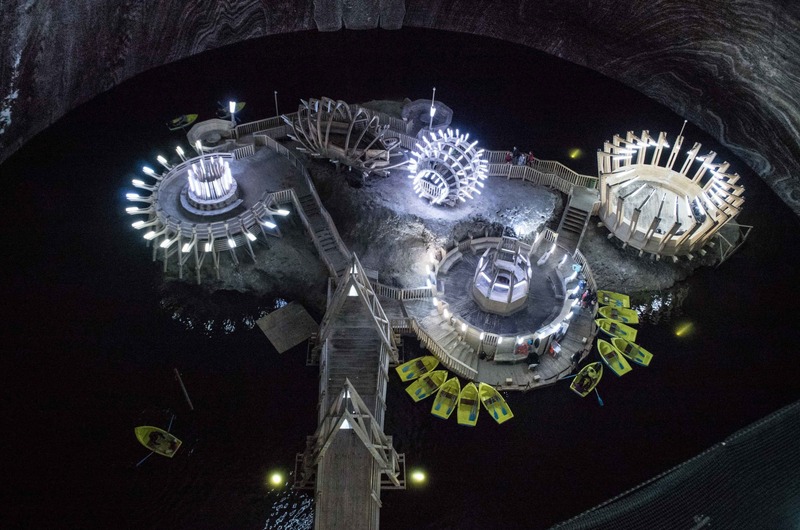 Inside the huge caverns are an array of attractions including a mini-golf course, bowling alley, a 20-metre high Ferris wheel, an amphitheatre and even a vast boating lake! It simply has to be seen to be believed. For those with a fear of heights (yup that includes me) anywhere up in the air is going to challenging. The Parcul de Adventure Dynamis is the perfect place to prove to the kids around that you’re not a wet blanket after all. It just takes a hefty portion of confidence, a stern chat to the voices inside your head and a leap of faith before you’re zip-lining your way across the treetops screaming like a little girl. And that’s exactly what I did! 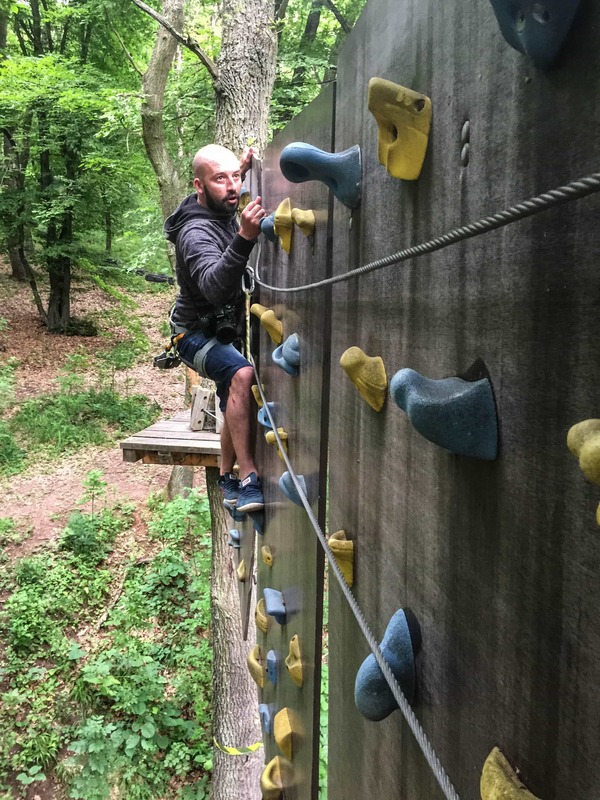 From the vertically-suspended climbing wall to the wobbly plank walk, to the zip-line where you can’t even see the finish line there’s something to keep even the most confident Tarzan or Jane amused and a little bit scared. I took on the might of the yellow route which was tough enough – there are two levels above that…well it something to aim for next time! 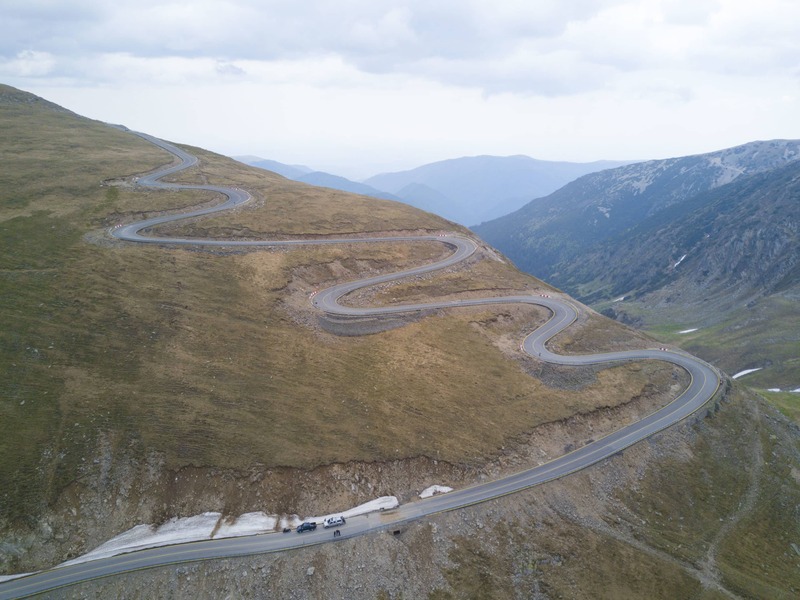 One of the most iconic images I found when researching adventures in Romania before leaving on our trip was of this – the multi-switchback turns of the DN67C or more suitably-termed Transalpina Road. The road climbs to 2145m above sea level at the Urdele Pass and is simply a majestic statement about man’s ability to engineer and build a highway across one of the most inaccessible parts of the Carpathian Mountains, an area that’s closed for most of the year due to its high altitude. 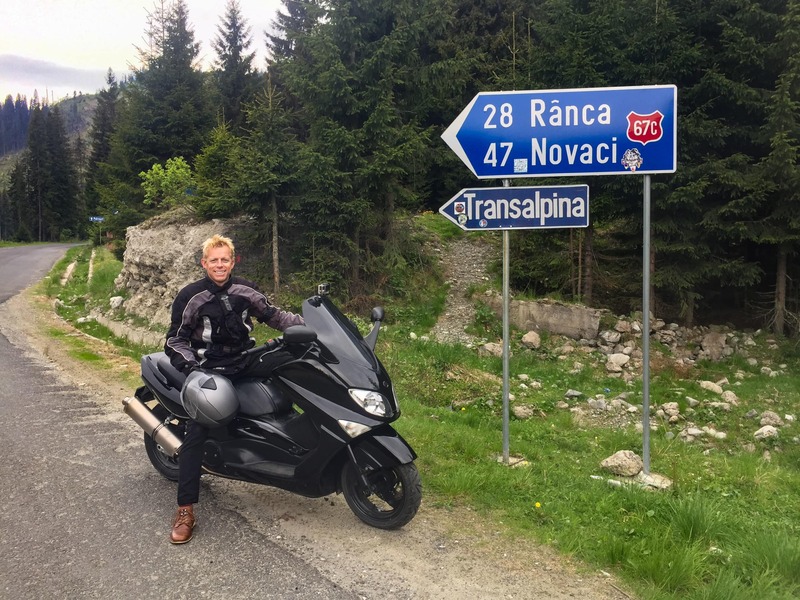 In the early part of the drive you pass through vast swathes of Europe’s largest natural forest, wind your way along precipitous switchback bends, teeter on the edge of death-defying drops and marvel at the views to infinity and beyond. It’s a location for perfect photo opportunities. The ultimate way to travel the road would be by bicycle over several days, moving from one wild campsite to the next, each becoming more barren and beautiful than the last. Sunrise and sunsets views are guaranteed to be epic. There are a good number of traditional pubs, restaurants and accommodation options along the way if you feel you deserve a good pampering after a long day on the saddle. As we only had a short time to explore the area, I opted to hire a motorbike and cruise the length of the road and back in a single day. The DN67C opens around the end of May (weather depending) and is a busy place in the height of the summer holidays so it’s worth timing your trip accordingly. Add it to your list of must-dos! Independent adventure travel is alive and well in Romania, and Alba Iulia remains one of the last truly undiscovered bastions of Europe. Take the magnificence of the Transylvanian Alps, throw in an assortment of unique adventures, add some of the best wine in the world, mixed with a dusting of ancient Roman history, all stirred in a pot of hospitality and pride and you have one of the most usual travel experiences you can create. Leave the crowds behind and lock your auto pilot towards Alba County. You won’t regret it. Photo credits – Florin Dutulescu and Ionut Vaidean – thank you for being two incredible shooters and lifetime friends! Thanks Ben for this article. It is amazing how beautiful and exciting Romania is through a forigner’s eyes. We lost this sight sometimes…Alba county is great, I hope you’ll come back soon to try some more wonders in Apuseni Mountains. You’ll find friends here, forever. It was a wonderful experience and hopefully the first of many! See you in the mountains soon I hope!